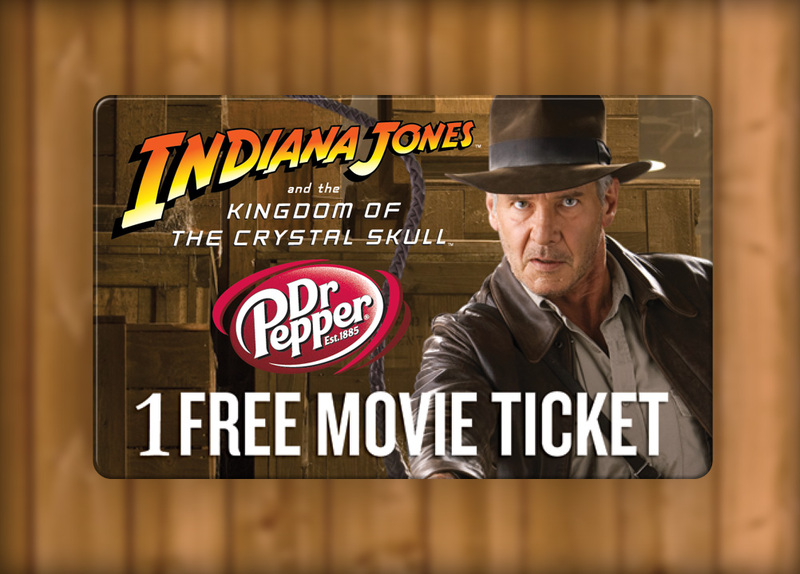 In anticipation of the fourth installment of the Indiana Jones films, Indiana Jones and The Crystal Skull, Dr Pepper® offered consumers the opportunity to head to the movies for free when they purchased selected Dr. Pepper products. The pairing promoted the new film, gave consumers a free Movie Ticket and an incentive to purchase Dr Pepper's classic products. This digital reward proved to be easy for Dr Pepper to apply to their products and even easier for consumers to redeem. A unique Reward Code was printed on specially marked packages of Dr Pepper allowing consumers to redeem their gift from any personal computer. Their movie ticket could be printed instantly or picked up at their local movie theatre's will call window. For Dr Pepper, Indiana Jones and The Crystal Skull was a multi layered cross-promotion. Free movie tickets were given away to qualifying consumers who purchased certain products and a sweepstakes offered entrants a chance to win the free movie tickets too. 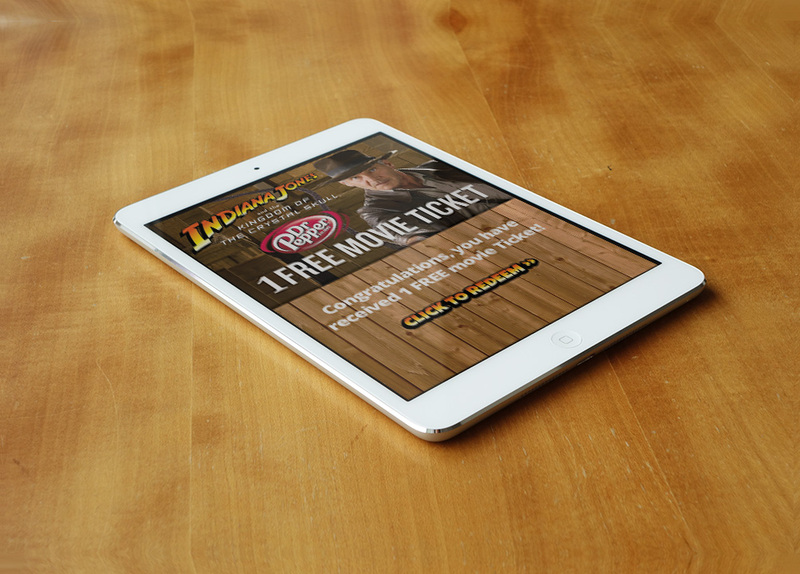 This campaign proved that Digital Rewards are a great solution for on-pack promotions. Printing the Reward Code right on-pack allowed Dr Pepper to run a highly-visible promotion while keeping the distribution costs at a minimum.